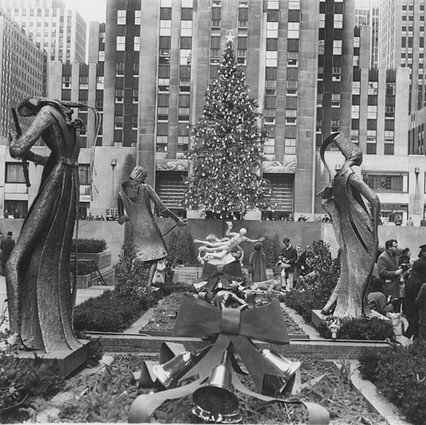 1936 The Twin Trees Speaking of skating, the rink below opens this year, and to honor what would soon be one of the most popular features of Rockefeller Center, organizers get two 70-foot trees. (They do the same thing in 1937 and 1938.) If you’re being technical — and let’s be technical, it’s the holidays! — at a combined 140 feet, that’s the largest amount of footage ever utilized for the annual display. 1941-1944 The Dark Trees The annual trees remain unlit throughout the war and are decorated with “unessential” materials, with all those twinkly lights and garland apparently donated to the war effort. 1949 The White Tree In what was certainly the most ridiculous, plastic-looking yet utterly fantastic tree ever created, a 76-foot Norway spruce is actually spray painted white to give it the appearance of looking covered with snow or else to publicly humiliate it for some unknown offense. 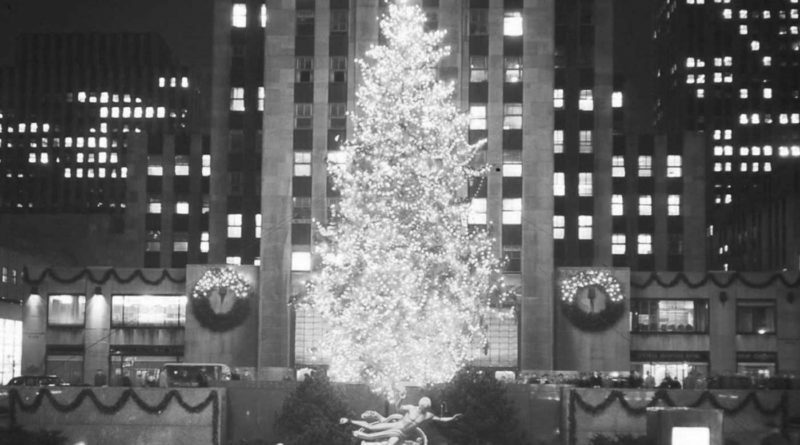 1966 The Foreign Tree (below) For the first time, a handsome 64-foot specimen is brought in from Canada. Another country! This would never happen had George W. Bush been president! 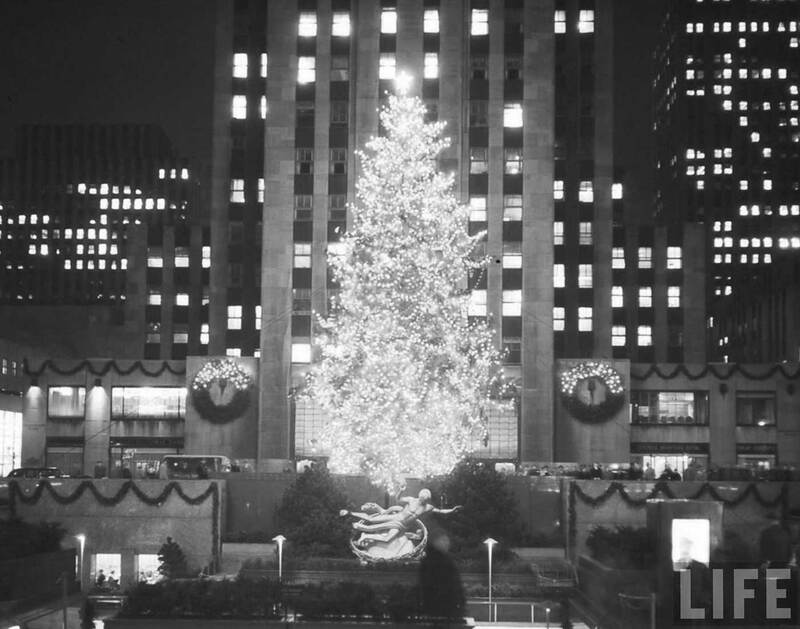 1971 The Zombie Tree The Balsam Fir at the center of this year’s celebration, already severed from its native forest and gussied up like a cheap Christmas harlot, has the unusual distinction of being mutilated, mulched and recycled for other purposes the very first time. The 1970s have arrived! 1980 The Daredevil Tree Something about the thick, brawny branches of this year’s 65-foot tree drew a man to attempt to climb to the top. The nimble climber was promptly arrested and security inevitably doubled after that. 1995 The Holy Tree This year’s selection isn’t just from any forest. The 75-foot Norway spruce used for this year’s ceremony was donated by a convent. Hallelujah! 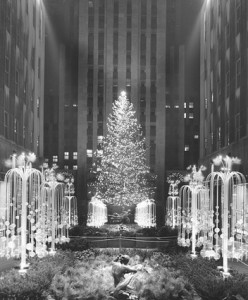 1999 The Tallest Tree The monstrous creature towering over obviously frightened skaters this year chimes in at an astonishing 100 feet tall. 2004 The Blingy Tree The tree goes truly upscale when its topped for the first time with that hefty Swarovski crystal star, comprised of 25,000 crystals, making it the most decorated lady on Fifth Avenue.